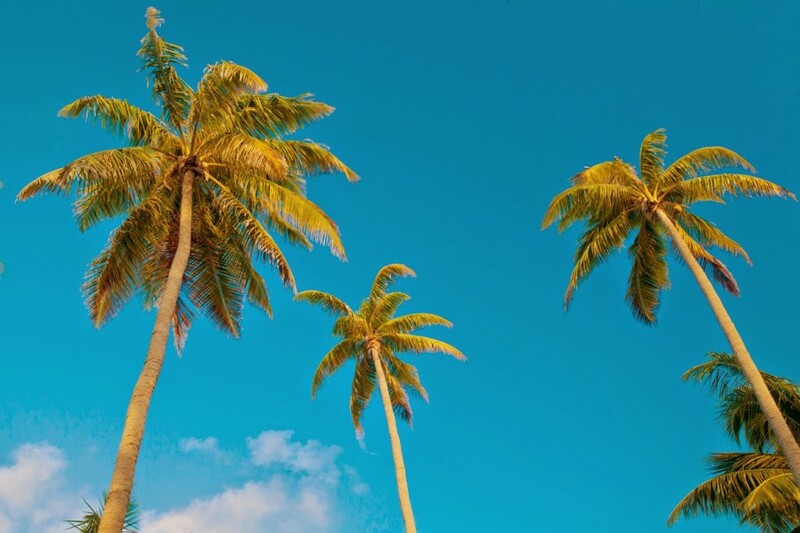 In the midst of all this wintery weather, nothing sounds quite as nice as settling into a little slice of paradise somewhere tropical with a drink in my hand and warm, turquoise waters stretching out for miles, amiright? Fortunately, I’ve found paradise. Unfortunately, my cars buried beneath inches of snow and I have a funny feeling that even if I found a way to the nearest airport, flights are getting delayed right about now. Even if you’re stuck in the snow, you will soon forget all of that as soon as you lay eyes on this gorgeous private island resort located in the middle of French Polynesia. I first discovered Motu Teta through Stephanie about a month ago and can’t stop dreaming about it. Motu Teta is a private island home that has been rented out to visitors for the past ten years. So just imagine, you can be the captain of your own private island for a week, or a month, or however long you decide! The possibilities are endless and the photos are so gorgeous I can hardly believe this place is real. 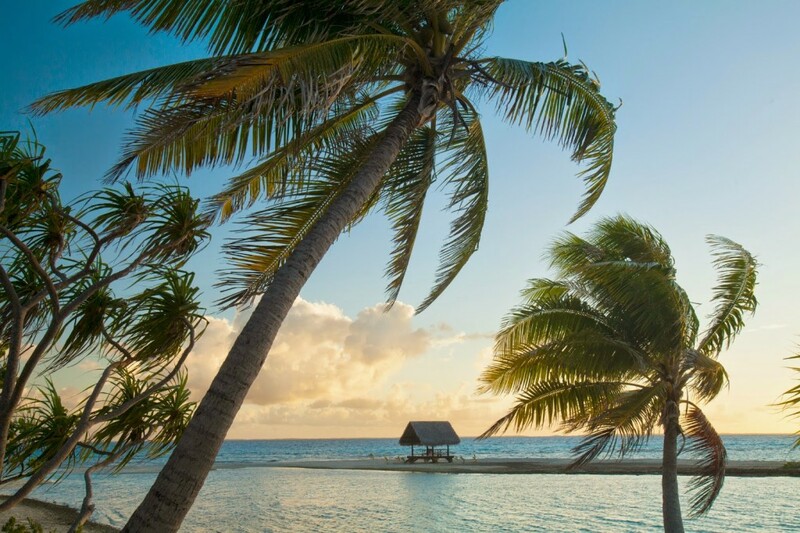 The island comes fully equipped with a main villa, guest bungalows, a private chef and staff who are native to Rangiroa and can offer a truly local experience. And it is a real place, believe it or not! 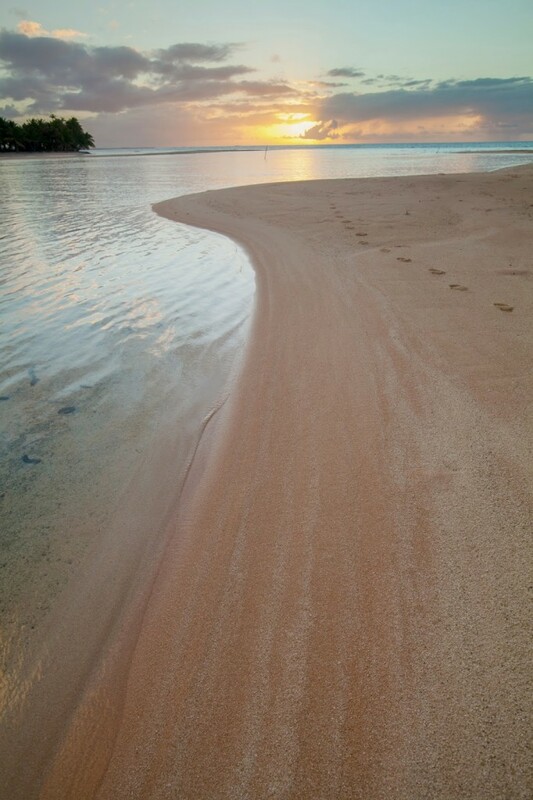 Motu Teta is part of an atoll called Rangiroa located northeast of Tahiti. Rangiroa boasts a great number of islands but only two are permanently inhabited! How to get there? You can fly into Tahiti or Bora Bora before transfering to Rangiroa with a one hour domestic flight. There a staff member from Motu Teta will scoop you up in a boat and transport you to your dreamy private island. While it would be easy to slip away into a relaxed puddle of nothingness on one of the beaches of this island, there are plenty of activities you shouldn’t miss and local guides to help you make the most of your experience. 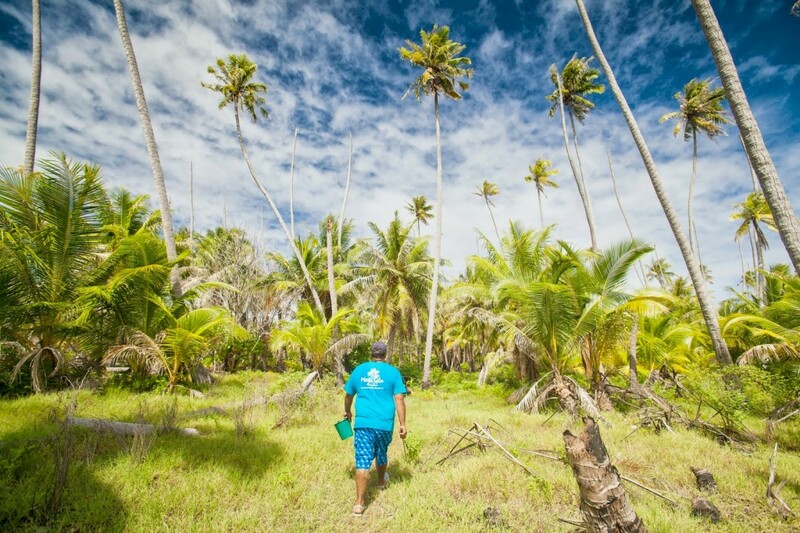 With just a short 15 minute boat ride to the East, you can visit an abandoned village or take a walk through the jungle to a beautiful white sandy beach where you can explore the creatures living in the reef. 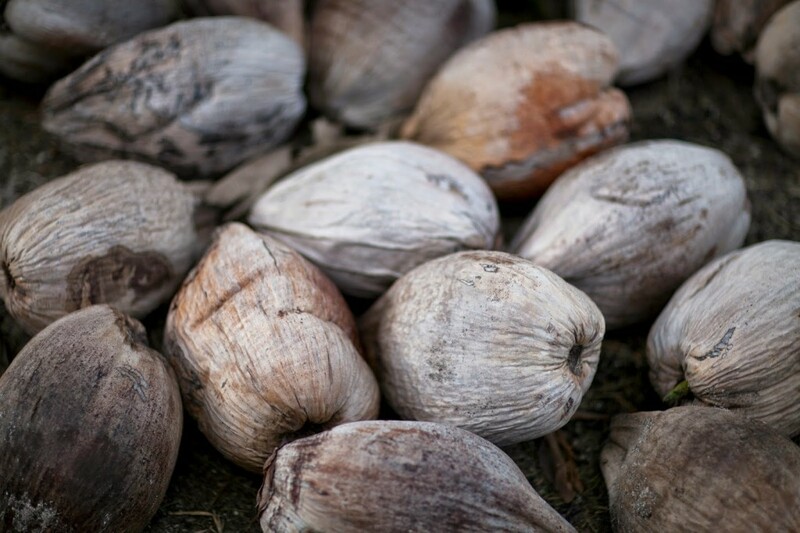 Don’t forget to enjoy a fresh cut coconut for a refreshing drink! Want a good lobster dinner that you know is fresh? I’m not the biggest seafood fan but I’d definitely jump at the chance to go on this night excursion. 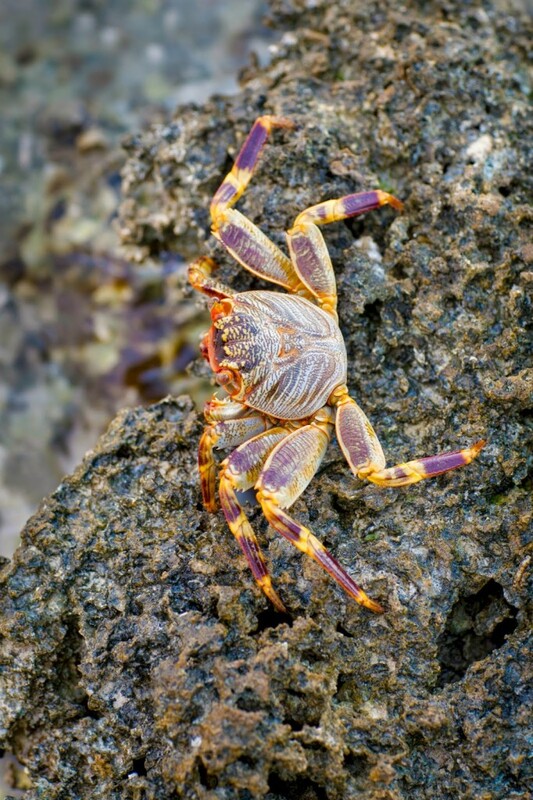 Local guides lead you to the back reef of the island where after trekking through the shallow tide pools full of sleeping fish and eels, you can attempt your very own lobster hunt! A definite must and unique activity for adventure seekers. Have you’re own little adventure for the day by taking a boat to an uninhibited island for a Tahitian picnic! 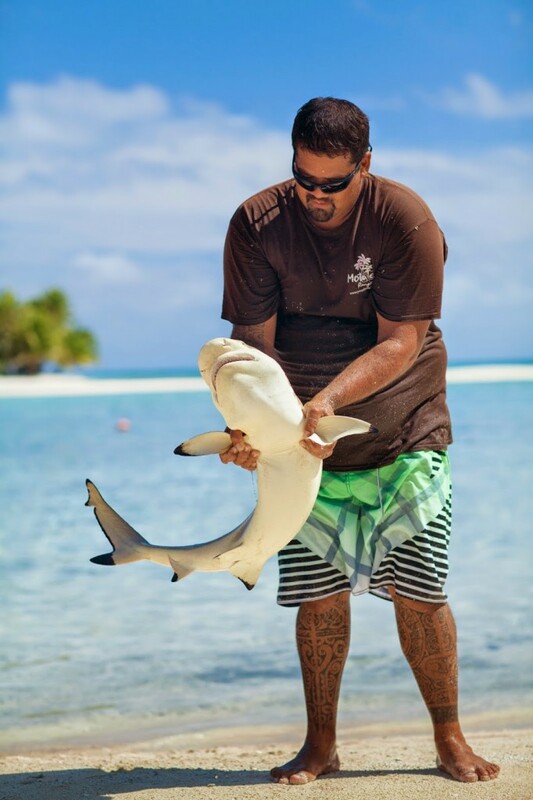 The local guides will catch fresh fish and barbecue them while you explore the island. If you ask nicely, the guides will help you tie leftover fish onto a large rope and show you how to wait for a shark to bite down then, quickly pull the shark out of the water for a fun photo op before you release them back into the ocean. I learned last summer during my trip to Thailand that there are few things I love more than taking a boat ride out to go snorkeling. Head northwest of Motu Teta and begin your afternoon with an amazing snorkeling experience. During the incoming tide in one of the two Rangiroa passages, you can watch as all fish and sea life float by in front of your eyes. Okay, so I couldn’t nix it down to just five of the best thing to do on the island. But we’re talking pink sands here so can you blame me? Just a 30 minute boat ride to the West, and you will find fine pink sandy beaches. 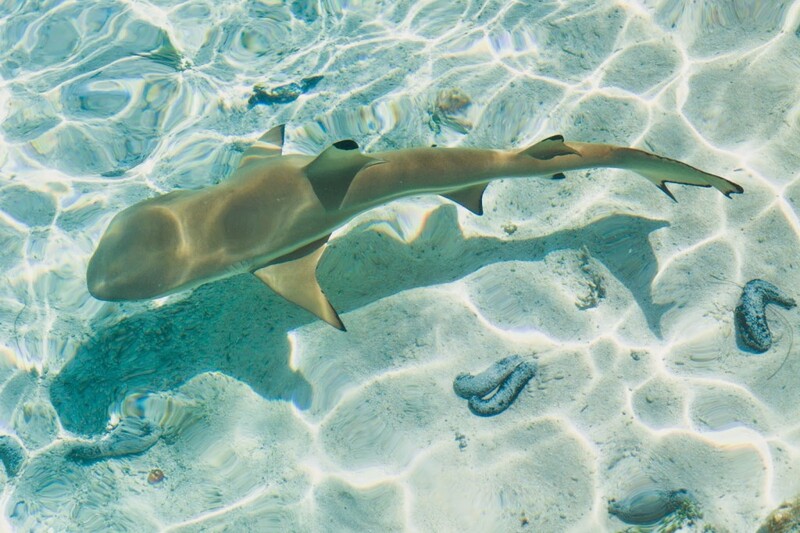 The pink sands are a common living area of local sharks, which makes for excellent snorkeling. Following your swim, you can stop to explore one of the many uninhabited islands on the way back. 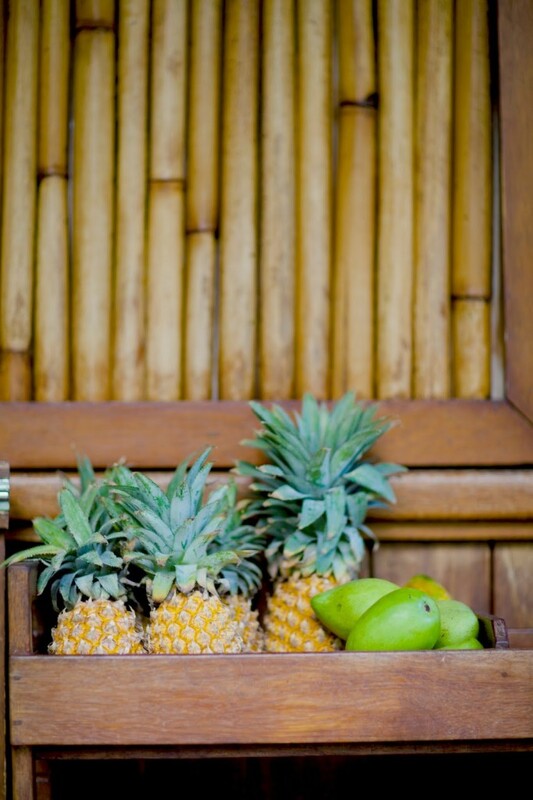 The island chef prepares traditional tahitian dishes – which are reportedly all amazing. However, guests are able to requests meals if they’d prefer something else during their stay. This is all planned before guests arrive. It’s hard to get specific ingredients when you’re on a private island in the middle of nowhere…so all of the shopping has to be done beforehand! Booking accomodations for Motu Teta is easy and can be done online. You can find all the details here. Guests have the choice of staying in the main villa or a bugalow, and the island can accommodate up to up to 6 adults or up to 10 including children. The best part? It’s all-inclusive. C’mon now. If you’re imagination is anything like mine, you’re already picturing yourself lounging on the beach and know exactly what you’d look like. I’d fill my suitcase with light dreamy maxi dresses, fun metallic accessories, an assortment of colorful bikinis and this lifesaver sunscreen that only needs to be applied once a day! I have officially started dropping hints to my mother that it’s high time we planned our next big family vacation. Or maybe I can convince the girls this is where we should have our next reunion – Hi Caitlin, Kellie, Jackie, Tara!! Either way. I need to get to this island STAT! Which destinations are you dreaming of? Need help choosing your next travel destination? Follow these five simple tips! Want more travel inspiration? Follow me on pinterest but consider yourself warned – it gets addicting! I died when I saw those sharks! I would sacrifice my whole saving to spend a month on that island trying to find sharks. I have an unwavering passion for sharks. To me they are the best creature on earth, I love them more than my husband. Just don’t tell him that! Thanks for the post, I can now add this place to my bucket list! That’s so funny, this is definitely the destination for you then! It has jumped to the top of my bucket list! !